I can't believe Summer is nearly upon us. Here in Florida the temperatures are already into the mid to upper 80's and I'm afraid we might be in store for a very hot summer. So this is a great time to start experimenting with some new lighter fare for those days when it's too hot to bake anything and you just want a nice light sandwich. With a just a few minutes of prep time and a handful of fresh ingredients, you can make this delicious Blackened Shrimp Po'Boy Sandwich for lunch or as part of a light dinner. This is also a very inexpensive meal. Considering a fast food cheeseburger meal probably runs $5 per person (or more) and is far from healthy, the half pound of shrimp will only cost $3 - $4 and will make at least 2 sandwiches. On top of that you have a fresh and healthy sandwich full of bright flavors that will taste SO much better than a processed burger. Once the shrimp are cleaned, place them on a small plate in a single layer and sprinkle with the Old Bay and garlic powder. Turn if needed to evenly coat the shrimp and set aside. Prepare the hoagie rolls, lining each roll with romaine and provolone cheese; set aside. Using a small skillet, add the butter, olive oil and garlic, browning the garlic over medium-high heat. Once the garlic is slightly browned, add the shrimp to the skillet in a single layer. Do not turn the shrimp and allow to cook about 3 minutes over medium-high heat. This will allow the shrimp to sear. Turn the shrimp and cook for 1 - 2 minutes until cooked thru. 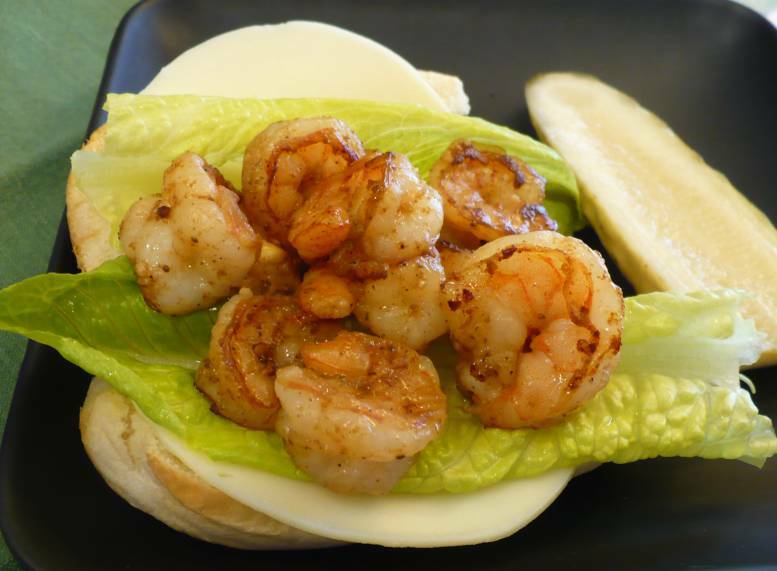 Scoop the shrimp into the 2 hoagie rolls and serve with sliced pickles or a light salad. Enjoy!! This is just the kind of meal we love on a warm summer evening. It's quick and easy to prepare and everybody like it. 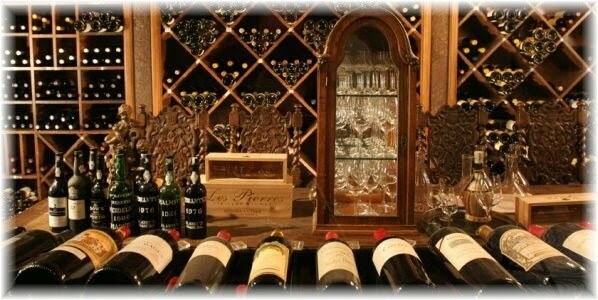 Chilled wine or ice tea and a little salad and everybody is happy. Blackened shrimp are great and as Cathy said perfect for this summer when we don't want to be in a hot kitchen. Quick to prepare and oh so good. Thank you Cathy and Karen for visiting. We loved these sandwiches. A nice light dinner with a salad and white wine...perfect!